The cosmetic industry has continued to record a significant strong growth over the years and emerged as one of the industries holding the highest potential for further development and growth. The research shows a projected growth for female and male consumers worldwide. The increased awareness regarding on the quality beauty products, treatments, and glooming has rapidly boosted the cosmetics industries worldwide. Due to increase in the demand of the cosmetics products has resulted to increase in the global competition. The cosmetic industries are becoming very innovative and creative in providing unique quality products in the market to earn an advantage over the competitors. For the cosmetic industries to remain in the stiff competition needs to upgrade their cosmetics product and integrate technology to remain productive in the business. The cosmetic industries to survive in market needs to embrace a SWOT analysis and provide quality product with affordable prices. They also need to purchase quality labeling machines to help them in producing quality products to the consumers. Cosmetic industries have experienced the most dramatic market growth and are a very lucrative market with the highest prime targets for worldwide expansion to the majority of beauty players. The market trend is expanding continuously in international and modified adequate distribution of cosmetics product and boosted consumption. Cosmetics industries have extensively advanced on research, technologies and formulas. Technological advancement have overwhelmed embraced and integrated by cosmetic industries to meet the consumers demand. The demand of cosmetics product has continued to increase over the years for both male and female. The originality, innovativeness and technological advancement have been incorporated in meeting the rising demand trend in the market. The cosmetics industries are enhancing quality cosmetic product that meet the client needs. They ensure that their products are health and do not have side effects to the consumers as they use natural plant in manufacturing. The cosmetics are distinguished from the area of the body that is applied. There several are quality cosmetics products available in the market which includes: skin care creams, lotions, perfumes, lipsticks, nail polish, eye and facial makeup, hair sprays, bath oils, bubble baths, bath salts, powders, hand sanitizer, towelettes among many others. Different Types of Labeling Machine in the Cosmetics Industries and Their Use. 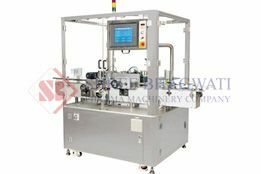 They are various type of labeling machines that are available in the market and includes the following: sticker labeling machine, bottle sticker labeling, top labeling machine, shrink sleeve applicator and ampoules sticker labeling machine among many others. The machines are applied at high speed with accuracy hence helping in reducing time lost as well as maximizing on returns. Using labeling machine in the cosmetic industries has numerous merits such: convenient to maintain and operate, flexibility, durable and affordable, environmental friendly, dimensional accuracy and speed that helps in maximizing returns and enhance and improves the quality of the cosmetic products. They reduce the cost of production and saves time. In world today cosmetics industries plays a significant role in ensuring global beauty to our lives. Cosmetic industries are fast growing and are projected as a future growth in the market with overwhelming demand for both female and male globally. There is increasingly demand of the cosmetics product with stiff completion globally. The cosmetic industries needs to use quality labeling machine to enable them achieve their target and quality production. This article has been posted by Arjun Rao, Director of Shree Bhagwati Labelling Technologies.